1. Follow the below link and choose your preferred language English/Arabic. - If you found any other numbers which is not related to you, then you can complaint that service provider to cancel and close that number by following the related customer care numbers. 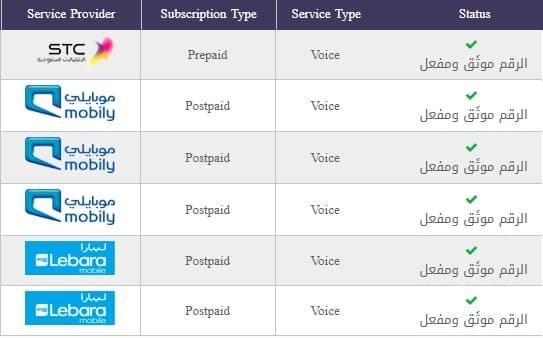 - You can also complaint online by following this article "Complaint to your telecom operator using CITC", which will resolve your issue by the service provider with in 15 days.